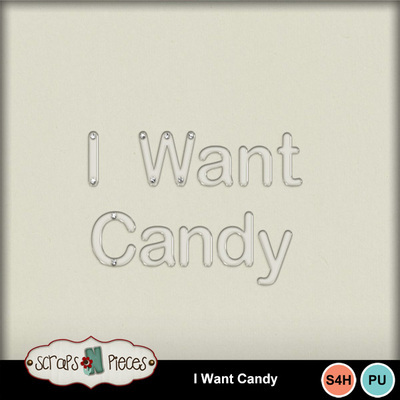 If your favorite part of going to the movies is the snacks, you'll love I Want Candy! This timeless kit combines bold design and a retro color palette for a tasty look you'll want to sink your teeth into. 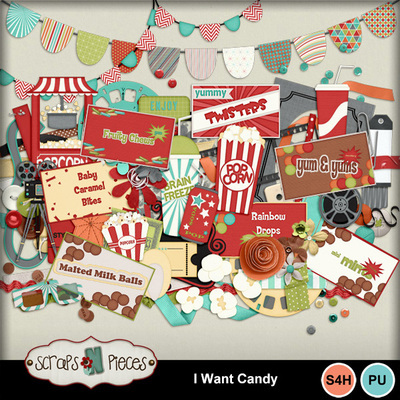 Featured elements include your favorite candies, popcorn, sodas and slushes, Viewmaster reels, tickets, and plenty of ephemera. 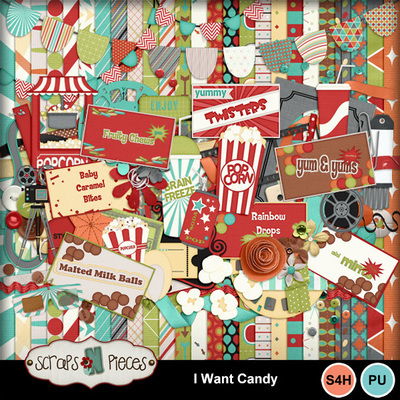 There are also plenty of banners, ribbons, buttons, flowers, and a silver screen-inspired alpha. 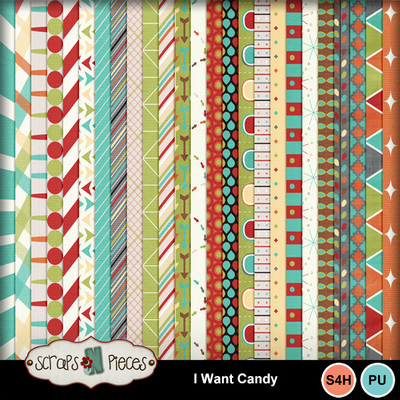 Whether you're grabbing treats at the concession stand or enjoying theater-style candy from the comfort of your home, scrap the sweetest part of your movie-watching experience with I Want Candy!